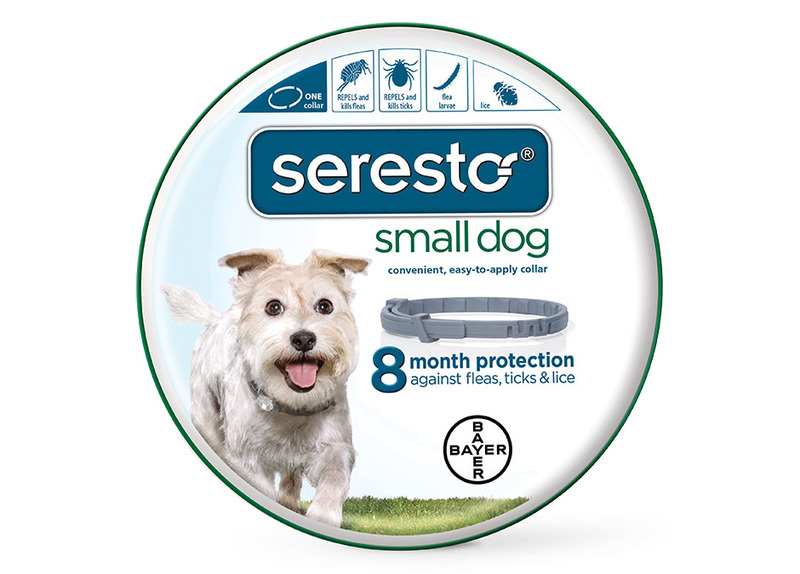 The Seresto Flea & Tick Collar from Bayer offers a breakthrough 8 months of flea and tick protection for dogs or cats, setting it apart from conventional flea and tick collars. 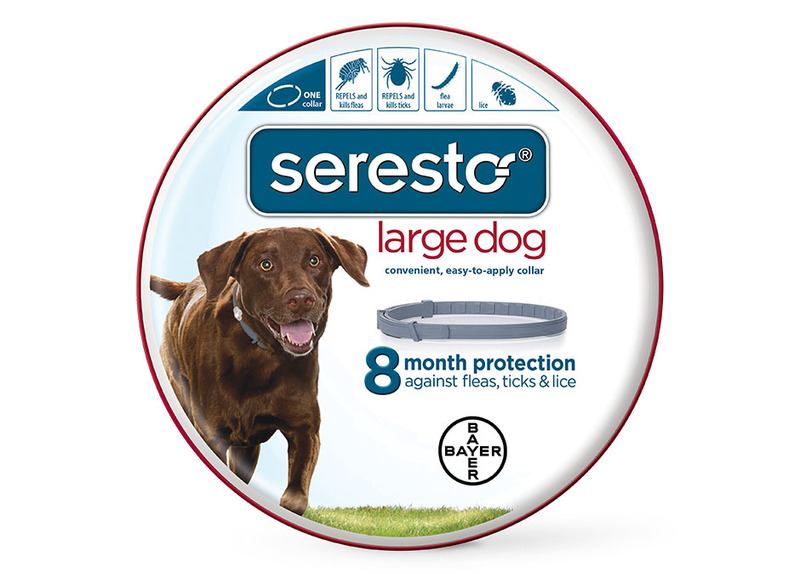 The Seresto collar offers the performance of a topical with the convenience of a collar. Its sustained release technology means that the active ingredients are slowly and continuously released over 8 months. Kills fleas and continues to prevent re-infestations for up to 8 month. The Seresto collar also repels and kills ticks. It's water resistant and remains effective following monthly bathing, occasional swimming (if swimming occurs more often than once a month, the duration is reduced to five months) or after exposure to rain or sunshine. This collar also features a release mechanism which--in the unlikely event of a pet becoming trapped--the pet's own strength is sufficient to allow for a quick release. Remove Seresto collar from bag inside tin and unroll collar. Remove any plastic hanging remnants from collar. After fitting around your dog's neck, push one end of the collar through the loop and tighten to fit two fingers between collar and neck. Any looser fit and the collar may be too easily removed. Cut off any excess length. The flea and tick collar is a tried and tested method of protecting your pet from pests during the buggy summer season, but most of them need replacing every month or two. 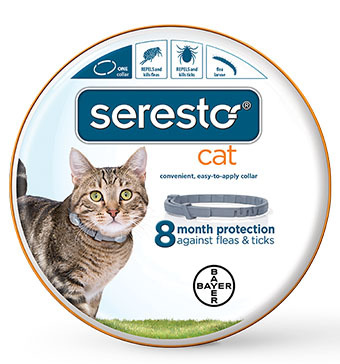 Bayer's Seresto Collar for Dogs and Cats is a newcomer to the flea and tick game with a big promise that it will last 8 months—potentially outlasting the fleas and ticks, even, in your area. Does it measure up to its promise? And how does it do it? The short answer is, yes, it does.